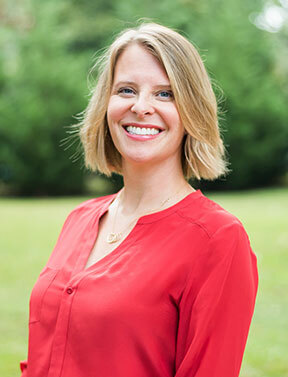 Megan Shaw Pageau (Dr. Shaw) recently moved to Greenville after practicing dentistry for more than ten years in Birmingham Alabama. A reconnection with a friend from high school at a 20-year class reunion led to marriage and a move to Greenville. Her husband Chris works with Confluence Outdoor and has lived in Greenville for close to ten years. Dr. Shaw received a Bachelor of Science degree from Auburn University in 1999, and graduated from the University of Alabama Birmingham School of Dentistry in 2003. She then completed a one-year general practice residency at the University of Colorado Health Sciences Center, and headed back south to Birmingham to practice general dentistry in the same private practice for a little over ten years. In her spare time, she enjoys running, hiking, yoga, exploring her new city, and spending time with her husband and her two four-legged children. Dr. Shaw has a simple philosophy: patients first. She cares about her patients’ well-being and works hard to make dental appointments a positive experience. She can’t wait to meet you!